The news helped boost the FTSE in early trading. Carnival is very nicely positioned for buyers. The stock enjoyed rapid gains throughout February - as most stocks did - but it was the action in early January which set the bullish tone. During the winter chill as stocks were heading south for warmer climes, Carnival made the bold move to new 52-week highs. The only blot came with a brief 3-day period of selling at the start of February, but this just confirmed £22 as strong support. By then global markets were working bullish reversals and Carnival was able to ride the stock buying wave up to £26. From March through to today the stock has traded in mild bullish channel anchored by support at £26.50 (and rising) with resistance likely to kick in around £28.00 (and also rising). Today's upgrade to £32 with prices closer to support than resistance gives bulls reason for optimism. The analyst target of £32 is close to the measured move target of £31.50 - mutual confirmation for an upside target. I have set a Trading Idea for a push to £31.49 with a stop on a break of £25.70. Yesterday was one of the busiest day for trading signals; upgrades in stops and target prices in nearly all trading strategies, some short exits and a couple of new entry signals. There was also profit target exits for HPQ, INTC and AAPL. 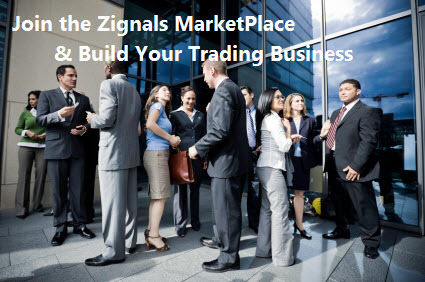 Subscribe to any of these or the 146 available in our MarketPlace and you can have these signals delivered direct to your email address. Below is a small sample of trade triggers. UK Golden Brown Long Unacted Entry for HSD (London) at 171p (EoD): Entry signal given, but exited position on same stock too recently (4) days ago.